For those heading to Barcelona, you may picture your trip as one filled with marveling at Gaudí’s architectural genius, taking a stroll in the Gothic Quarter and of course, digging into those tasty tapas! 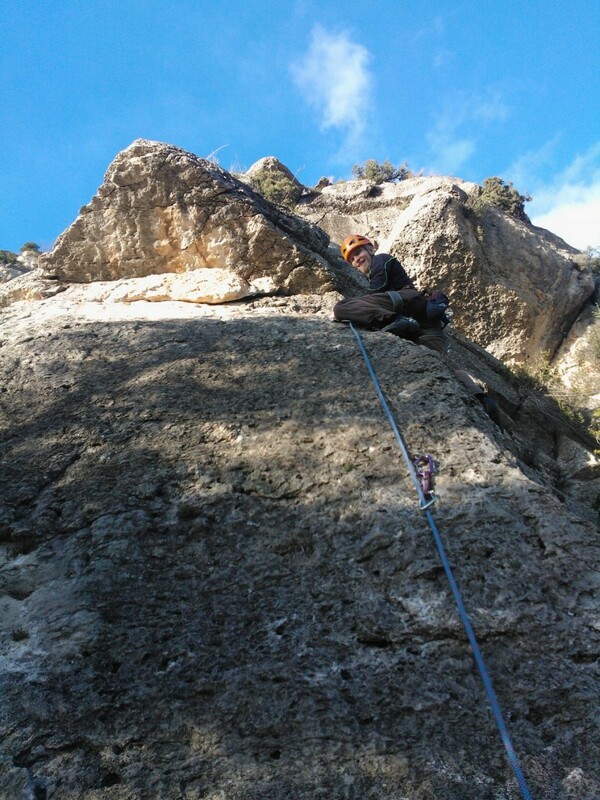 But for those who are looking for something a little more exhilarating, the Catalan capital is also host to some extreme activities, sure to satisfy your adrenaline cravings. Whether you are in search of a high-speed sea adventure or looking to take the literal ‘bungee’ plunge, Barcelona truly has it all. So, why don’t you leave the sightseeing for another day and instead choose to try some of these extreme activities in Barcelona. Looking for a thrilling way to cool down under the Spanish sun? If so, we recommend jet skiing in Barcelona! 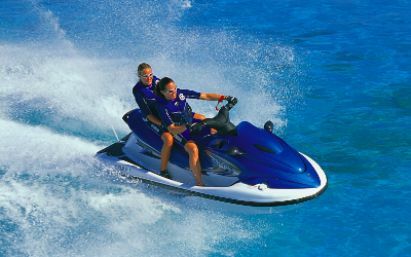 Race along the shore on your very own jet ski, as you enjoy spectacular views of the skyline and the Mediterranean coast. One of the top beach activities in Barcelona, we suggest heading down to the Barcelona Jet Ski hut in Port Fòrum to get set up, or checking out the Barcelona Jet Ski Tours website for an alternative tour of the Catalan capital. If high speeds aren’t your thing, rest assured, there are plenty more water sports in Barcelona to choose from, including wakeboarding and banana boating! In search of a thrilling experience in the Catalan countryside? Well then, choosing to go quad biking just outside Barcelona will be right up your street. Venture along the different tracks of the Montenegra National Park, through wildlife and amazing scenery, as you combine speed and adventure. Check out Barcelona Adventure, a company that offers 2-hour exhilarating guided tours and private transportation from your accommodation. For a once-in-a-lifetime experience, parasailing in Barcelona is a must. Soar through the skies at 150 meters above the Mediterranean Sea as you witness spectacular views of the Barcelona coastline. Whether you are a fully-fledged adventure addict or slightly faint-hearted, one thing is sure, this is hands down one of the most unique ways to see the city. If you’re in Barcelona with that special someone, be sure to try tandem parasailing, sure to leave you both with memories to last a lifetime. Head to El Maresme-Fòrum stop on metro L4, and make the most of the action-packed Parc del Fòrum bathing area, where you can enjoy this activity from May until October! How about a spot of abseiling? 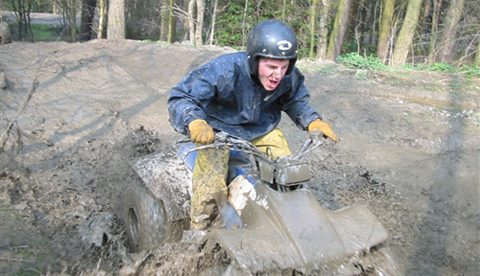 Sure to mix up those emotions, this fun expedition is one well worth experiencing. From that first step off the edge to the moment when your feet finally make contact with the ground, abseiling is sure to give you a buzz, and even the urge to do it all again. Not only will your blood be racing, but this is also a great option if you’re looking for a short escape from the hustle and bustle of Barcelona, as you will find yourself all the way up in the majestic Montserrat Mountain. Don’t miss your chance to catch some amazing views of Barcelona as you strap yourself in for the adventure of a lifetime! To take part in this unforgettable quest, check out the Lifestyle Barcelona website. 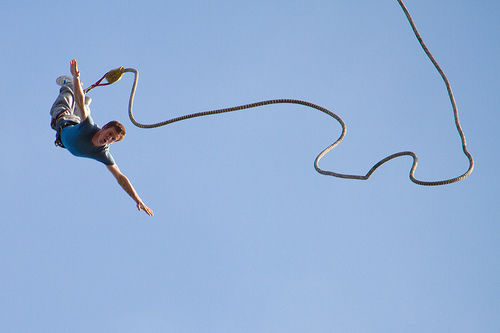 For those daredevils out there, there is only one activity extreme enough – bungee jumping! Take a leap from a 65 meter high crane as you plummet head-first towards the ground. Be sure to take in the incredible birds-eye view of the Costa Brava while you’re up there! Prices start at 80€ and one thing is sure, this terrifying yet terrific dive will leave you feeling like never before. For more information, check out the Lifestyle Barcelona website. So, whether you are simply in search of something extreme on your trip, or happen to be a devoted daredevil, these extreme activities in Barcelona are sure to get that blood pumping! This entry was posted in Activities, Events, Travel & Vacations and tagged areas in barcelona, barcelona, barcelona activities, barcelona day trips, barcelona tourist guide, summer in barcelona, things to do in barcelona, tourism in barcelona, visiting barcelona, water sports barcelona. Bookmark the permalink.